Knesset committee discusses hotels' insistence on evacuating Shabbat-observant guests from their rooms before Shabbat ends. The Knesset Commitee for Distributive Justice and Social Inequality, headed by Likud MK Miki Zohar, held on Tuesday a meeting discussion about discrimination against religious Jews in Israeli hotels. The discrimination entailed forcing religious Jews to leave their hotel rooms on Shabbat (Sabbath) morning instead of allowing them to stay until nightfall, with no prior warning. Some of the guests described how they were "blackmailed" into paying a high price after discovering that they would have to leave during Shabbat and not having any solution for their families. "In a Jewish country, it is worthy to observe Shabbat at leats in principle. If we're talking about religious coercion - this is a perfect example of secular coercion, which makes life difficult for those who observe Shabbat. It's absurd." Eli Avni, who serves as a religious law advisor for the Chief Rabbi, said, "Torah observant people are forced to leave their rooms in order not to desecrate Shabbat. The Chief Rabbinate receives many complaints from people who were forced to leave their rooms without prior notice, since the room was reserved for someone else. They were forced to leave and had no solution." MK Aliza Lavie (Yesh Atid) said, "The religious community is like a milk cow. They threw me and my baby out from one of the hotels on Shabbat, it was very unpleasant, and we couldn't stay because the room had been reserved for someone else. In the past few years, we've been forced to pay a lot more in order to keep Shabbat, and we have no choice." None of the hotels which were invited to take part in the discussion arrived, sufficing instead with a representative from the hotels' association. Israel Hotel Association representative Penina Ben-David spoke about the hotels' reasoning. "The hour at which people evacuate their rooms is the same worldwide," she said. "Most of the hotels tell their guests about it. In my opinion, it's not logical that secular Israelis will need to pay more because religious people want to stay until the end of Shabbat. 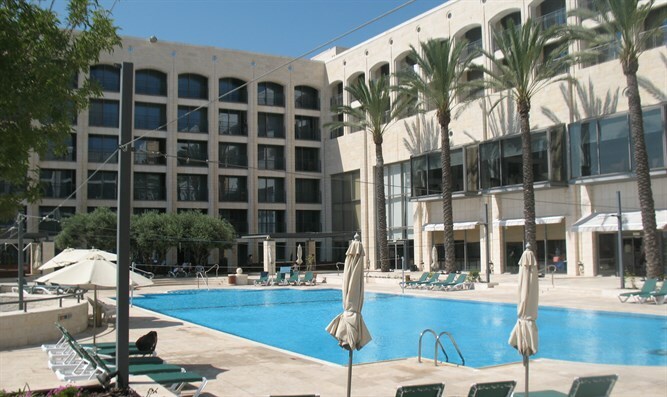 There are hotels which allow you to stay until the end of Shabbat and do not charge an additional fee. But when the room is booked for Saturday night, there's no option to stay longer." Ministry of Tourism representative Ahuva Zaken noted that "the Shabbat-observant population is huge. There are millions of traditional people in Israel. This is how it is worldwide, and we have no business interfering in the price hotels charge for families to stay until the end of Shabbat." "Obligating every hotel to evacuate its rooms only after Shabbat ends will harm the quality of service received by a tourist who lands, for example, on Shabbat afternoon." "There's a trend of excluding Shabbat-observant people from hotels," Zohar explained. "Why not just extend the stay until Shabbat ends? What will the hotels lose? I intend to propose a bill which will obligate the hotels to leave the rooms only on Saturday night. The hotels will only gain if there is an option to stay until Shabbat ends."